STA factory price MoSi2 ceramic fiber heating module for kiln furnace STA Super molybdenum disilicide heating element ceramic fiber module is a kind of restance heating element based on molybdenum disilicide. 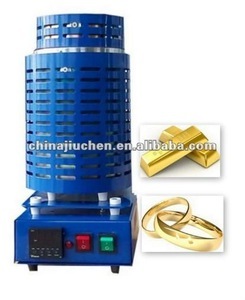 It is an essential ideal element when the products are sintering in the high temperature. Packaging is available in U shape, W shape, Straight shape (X shape) and bend shape (L shape). For safe operation of the equipment, over temperature controller protects the heating elements. This crucible has a groove in the rim to accept the specially designed crucible tongs for added safety. Operation Process Smelting 1. Open furnace cover, put the crucible by tongs with melting materal into the furnace, close Lid. we always provide our cutomers with quality products at much more reasonable and lower price. 5)Good ervice, your requirement will be treated very seriously. we always provide our customers with quality products at much more reasonable and lower price. Feature: 1.Sintering furnace is the key equipment of producing silicon carbide material, the silicon carbide products sintered by this equipment has excellent processing property. 3. 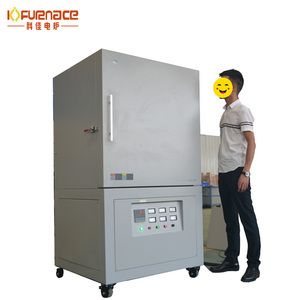 The cooling of the furnace body is cooled by natural cooling, and the low temperature section can be cooled by filling the inert gas with positive pressure to speed up the cooling rate. is a technology enterprises of relying on the semiconductor converter technology and setting of scientific research and development, production and management as one. 4. Exclusive and unique solution can be provided to our customer by our well-trained and professional engineers and staff. If the above model is not suitable for your workpiece, please tell us your need and then we can send you the most satisfying drawing. What&rsquo;s more, we have professional engineers and they can solve all questions. This model furnace will use the fume extraction tube to recycle all the combustible gas and smoking from the entire heat source. We have lots of experience to export and cooperate with all over the world, and we also sincerely welcome you to come to our factory to visit and watch our products and factory. You can find our factory and watch our products in many websites, We win in the strength, win in the quality and win in the service. When heating you should pay attention to When the furnace temperature in 100 &deg;C ~ 150 &deg;C is maximum moisture inside the furnace. Per kg of raw material rod into the kiln, the moisture is 4%~8%, that is to say1700 kg raw materials can be brought into about 100 kilograms of water. 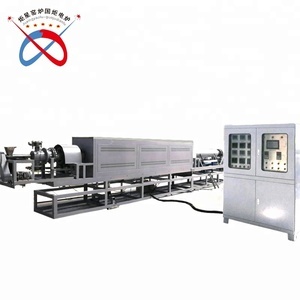 Theoretically per kg of raw materials to produce three cubic meters of methane gas, the gas can be used as carbonization temperature, drying heat sources. Carbonization furnace is a stove used to change biomass briquette into charcoal briquette. 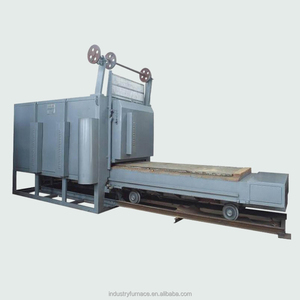 This furnace is ideal equipment for wood briquettes to have anoxic distillation carbonization. 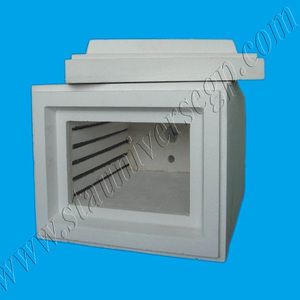 Due to its rational structure, the furnace only needs small quality of heat consumption. Model No. 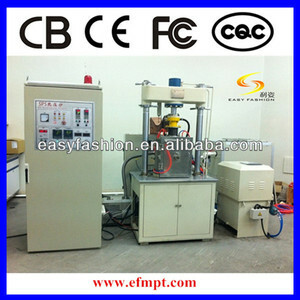 2.With opening type design,very portable and convenient to test and maintenance. 4.Stainless steel lliner with wind hole,can guarantee indoor temperature uniform. 2.Using intelligent temperature controller,PID automatic caculus,LED display,can guarantee the equipmets' high quality. 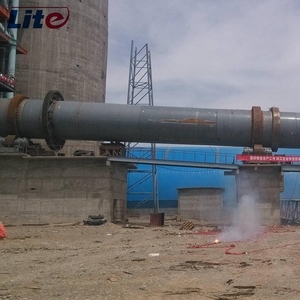 4 YRS CITIC IC Luoyang Heavy Machinery Co., Ltd.
1 YRS Yixing Zhongya Electric Stove Co., Ltd.
High temperature two-channel push plate kiln is a new type of push plate kiln developed by the company in recent years, which is energy-saving, efficient and highly automated. Each hearth is equipped with a walking wheel and propeller,The furnace body and the discharge roller table are mounted on the track in turn and bolted together as a whole. purpose It is mainly used for sintering rare earth white powder, rare earth ultra-long afterglow powder, rare earth tricolour phosphor powder and other products, and it is also suitable for sintering other products. 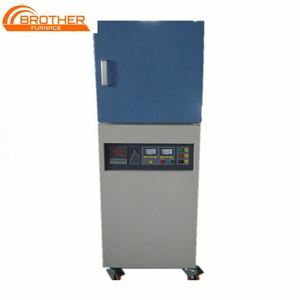 Alibaba.com offers 22,514 kiln furnace products. About 14% of these are cement making machinery, 8% are industrial furnace, and 3% are laboratory heating equipments. 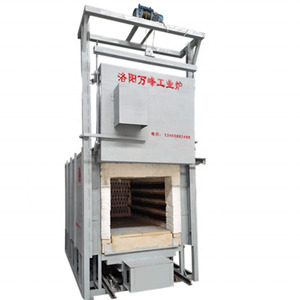 A wide variety of kiln furnace options are available to you, such as heat treatment furnace, muffle furnace, and sintering furnace. You can also choose from resistance furnace, blast furnace, and induction furnace. As well as from new, used. And whether kiln furnace is free samples, or paid samples. There are 22,514 kiln furnace suppliers, mainly located in Asia. The top supplying country is China (Mainland), which supply 100% of kiln furnace respectively. Kiln furnace products are most popular in Southeast Asia, South Asia, and Domestic Market. You can ensure product safety by selecting from certified suppliers, including 7,398 with ISO9001, 2,383 with ISO14001, and 2,167 with OHSAS18001 certification.